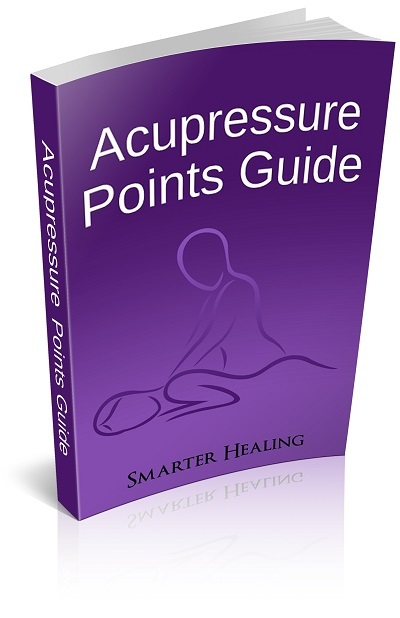 Can acupressure relieve cramps and muscle spasms? Let's find out! Acupressure helps heal the body by balancing our inner meridian energy. It can treat both physical and emotional issues by influencing this energy. Muscle cramps can originate from a variety of causes. They can appear due to stressing out a particular muscle with too much exercise. However, they can also appear due to too much psychological stress. Muscle cramps, like any other physical symptom, can also be an expression of subconscious negative emotions held within the mind. Acupressure's healing touch can help relieve these negative emotions by balancing the energy disruptions within the energy meridians that are associated with them. Cramps can also be a purely physical phenomenon, unrelated to the acupuncture meridian system or mental issues. Cramps can be caused by excessive overworking of the muscles, or by a lack of proper diet. It is especially important to include enough salt and electrolytes in your daily food consumption in order to counteract cramps. If you suffer from cramps regularly, there is a good chance that a lack of proper micronutrients in your diet is to blame. Acupressure can help improve almost any issue the body may face, including muscle cramps and spasms. However, it is unlikely to fully treat a condition that is caused primarily by improper diet or by an excess of physical stress and strain on the muscles. Regardless of the cause of your cramps, acupressure can be used to improve your situation. Acupressure points for cramps can be used in two separate ways. Below, I'll show you some pressure points that will be useful for treating cramps anywhere in the body. These generic cramp pressure points are the first way to treat your muscle cramps. The second way is to put pressure directly onto the cramped muscle and hold it still for a prolonged period of time. This pressure will help balance the force of the cramp and help stabilize the muscle until it returns to normal. Let's take a look at the generic acupressure points that can be used to relieve all muscle cramps and spasms anywhere in the body. 1. Governing Vessel 26, on the upper lip, above the mouth, directly below the nose. 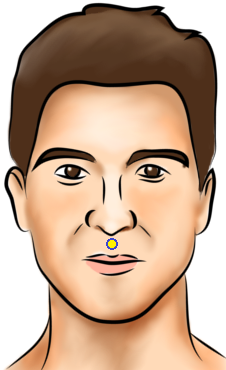 Use this facial acupressure point in the Governing Vessel meridian to relieve muscular cramps. It will also help get rid of dizziness and lightheadedness (fainting). 2. Bladder 57, on the back of the calf of the leg, in the middle of the muscle, halfway between the knee crease and the heel. Use this acupressure point to relieve cramps, especially those occurring in the legs. This point will also help relieve knee pain, lumbago (lower back pain), and swelling of the feet. 3. Liver 3, on the top of the foot, found in the indentation between the bone of the big toe and the bone of the second toe. This acupressure point will help relieve cramps, especially those in the feet. This point also helps many other issues, like headaches, tired eyes, and hangovers, as well as allergies and arthritis pain.